Chalk a line out 5" from the wall. 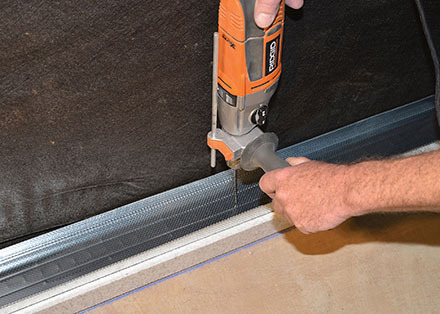 Align the 4' sections of FLOODSILL™ F425 on the floor. 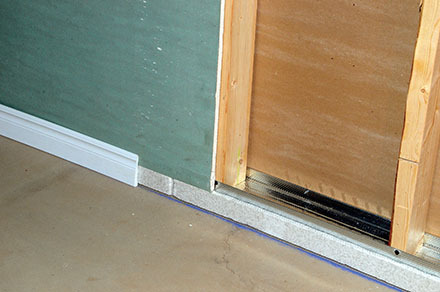 Install the 3½ track on top of the FLOODSILL™ and fasten to the floor with 3¼ Tapcon® screws on 16" centers. Plumb up from the bottom track and install the top track on the underside of the floor joists. Install the 2 x 4 wood or metal studs on 16" or 24" centers. Cover insulation with vapor barrier and drywall. Glue the baseboard on with a water based adhesive. 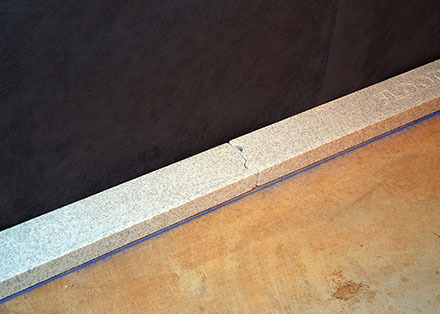 For interior non load bearing walls, align sections of FLOODSILL™ F475 on the floor where desired and proceed with steps 1 through 3. 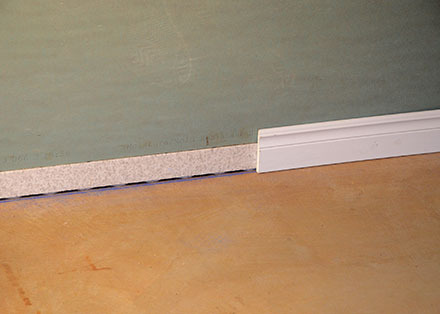 Install drywall both sides and glue the baseboard on with a water based adhesive. 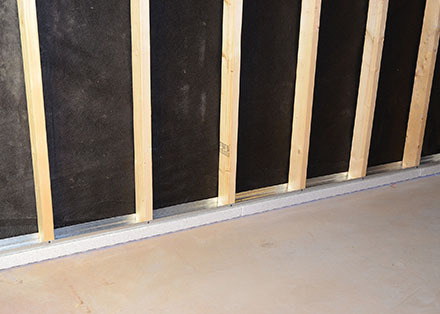 Avoid the headache of having to deal with water damage and mold issues in your new finished basement, use FLOODSILL™ and protect you and your family against water damage and mold spores.